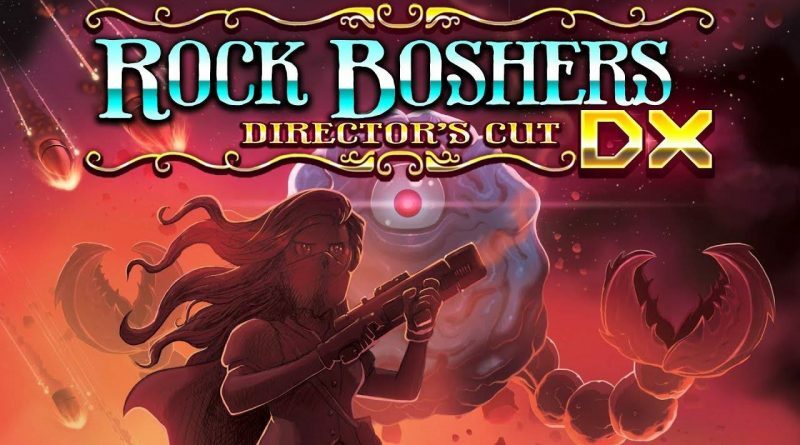 Tikipod today announced that Rock Boshers DX: Director’s Cut will arrive on Nintendo Switch on December 1, 2018. Pre-orders will be available on the Nintendo eShop from November 15, 2018 with a 10% discount. Get ready to take a nostalgia trip back beyond the 80s, to the 1800s but set in a steampunk alternate universe. A young Queen Victoria, tired of her dull Royal duties sneaks away incognito – in search of adventure on the recently colonised planet of Mars. But alas, she and her fellow adventurers have been locked up and forced to work in the dark rocky mines deep underground. Help Victoria escape her captors dastardly plot, and try to find a way back home. The future of the British empire is in peril. Created to look, feel and sound like a true 8-bit videogame from the 1980s – Rock Boshers DX: Director’s Cut mixes top-down and side-on arcade action. Blast monsters, biff politicians, drive a tank, collect snacks, meet Charles Darwin, unlock arcade games, outsmart giant brains. And much more. Authentic 8bit loading sounds and borders art! Soldiers, zombies, giant bugs, tanks and more all try to block your progress. Leaderboards to compete on and achievements to obtain. Weapons to collect to help you escape the levels, such as Coal Rockets and Steam Lasers. Hidden snacks to collect to unlock bonus arcade games.